Have a favorite family portrait? Maybe you have a couple of snapshots of the kids saved on your phone. Upload them to RitzPix and create unique photo Christmas cards and personalized Hanukkah greetings for your family and friends this year! All of our holiday photo card styles include free envelopes so they arrive ready to send out! Add your own personal touch to your greeting and wish everyone the best this holiday season with a customized photo card from RitzPix! 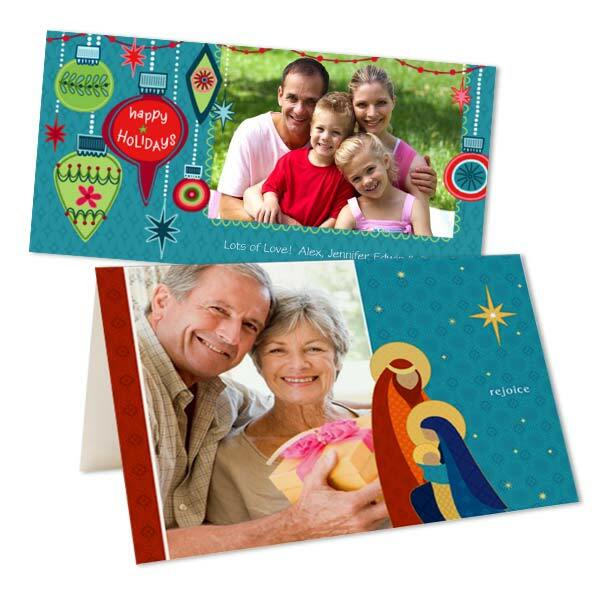 Need stamps to get your custom holiday cards out in time? Why not add your own personalized touch with our custom postal stamps. You can have your stamps custom printed with a favorite photo for one-of-a-kind holiday greeting!